Willow Glen California is our location for sampling and scoring ribs, chicken and tri-tip meats today. How do we do it? Why are we so lucky? It is a beautiful day and these question sometimes cross my mind.We are dedicated to our, I like to think of it as our calling, passion of bbq judging. 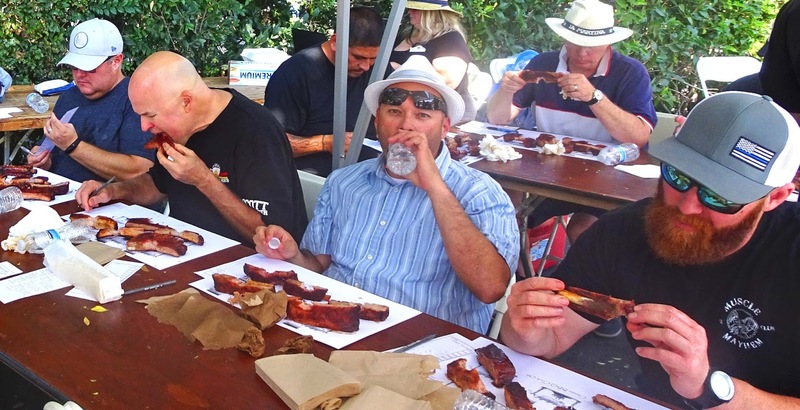 After all these contests we still take the act of critiquing and then scoring bbq very serious. You can be serious and still have a lot of fun and enjoyment and that is exactly what we did at the BBQ In The Glen. 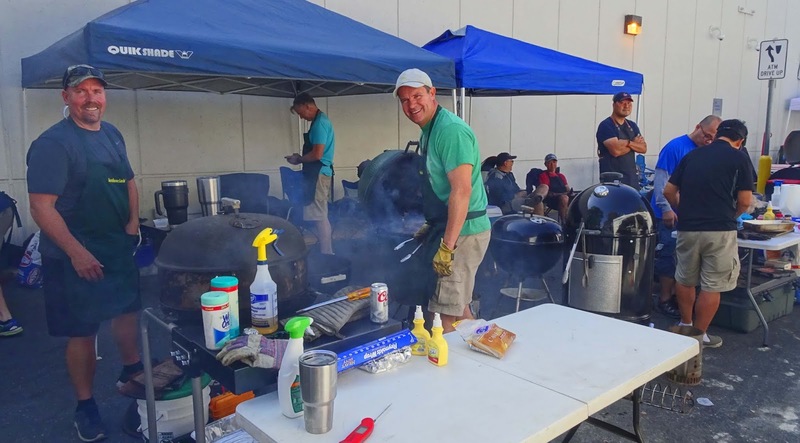 BBQ In The Glen was sponsored by the group; Willow Glen Business Association dedicated to promoting local business and the neighborhood. 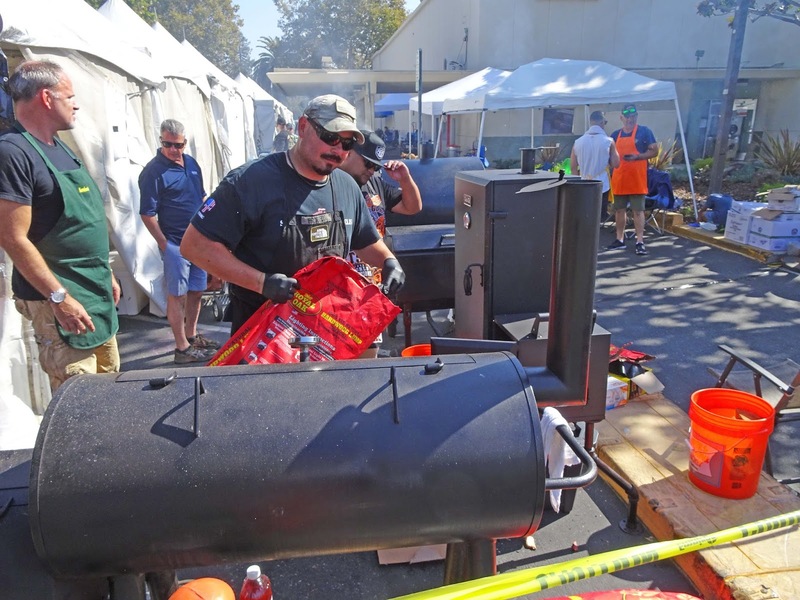 Their mission statement is as follows; The 3rd Annual Willow Glen BBQ in the Glen is a community event featuring amateur and professional BBQ teams competing for pride and prizes. The community gets the opportunity to sample the finished product, while enjoying an afternoon of music, kids' court, beer and wine. 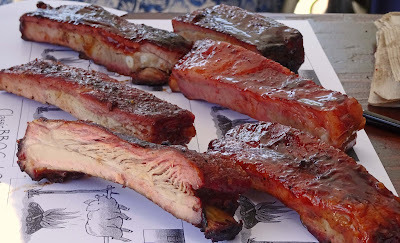 It is always fun to meet and socialize with our barbeque friends. We saw and met new judges and competitors this day. This contest brought out the local competitors that might not normaly competet in the sanctioned KCBS events. The competitors were classified as amateurs and professionals. The public purchased tickets and were treated to some fantastic bbq from both classifications of competitors. The weather was perfect with a slight breeze and the thermometer hovering in the high 70's. Summer has quickly passed us by. The same holds true for our bbq season. We possibly have one more contest next week depending on what our 'Tour Director", Ms. Goofy decides. We had a lot of fun today. 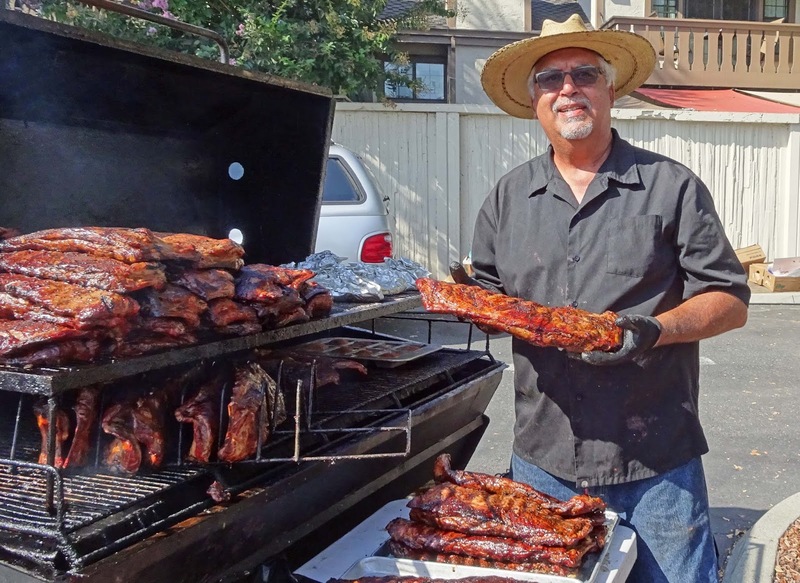 The public in Willow Glen, evident by the smiles and bbq sauce on their face had a blast too. So long for now. Looks like a fun time with some good looking meat. 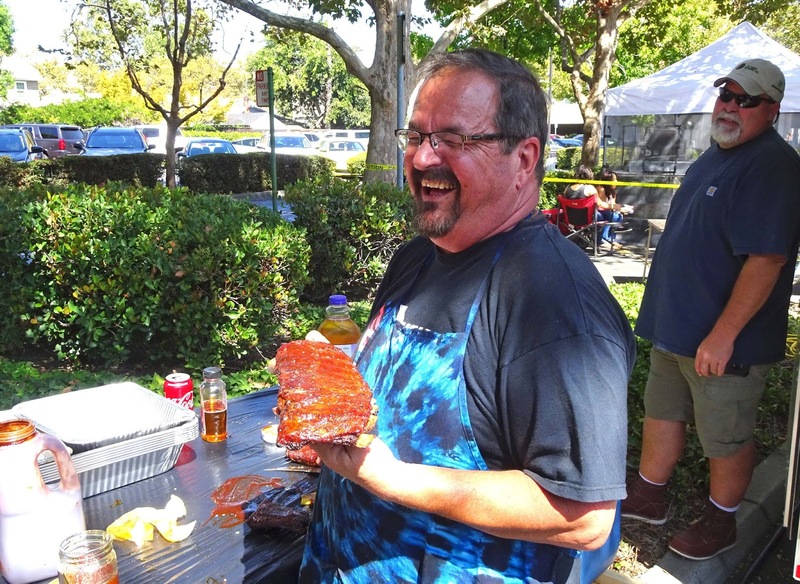 Big Dude, We love to judge bbq. It is a lot of fun.